Reiki is traditional medicine method that is legalized and approved by regulation signed by Ministry of health of Republic of Serbia in 2008. Ministry ranked Reiki in rehabilitation method (for health improvement). Traditional medicine in Serbia is regulated by Law on health protection (“Službeniglasnik RS“, br. 107/05) and the Rulebook on terms, ways and process of implementation of traditional medicine methods and treatments (“Službeniglasnik RS“, br. 119/07). What is Universal live energy? Everybody uses word “energy” in order to describe certain state: “I am full of energy”, “I don’t have enough energy”, “I’ve spent all my energy on …”, “I feel flow of energy”, etc. What kind of energy are we talking about? Many scientists called Life Energy Force X or the Fifth force. Reiki enables flowtrough human energy canals, and therefore through human body the amount of energy that is sufficient for a person to gain psycho-physical condition. Reiki is natural for humans. It is not unfamiliar to us and her effects are natural when we first get in touch with large amount of it. Feeling of deep genuine satisfaction, peace and security fulfils our entire being. Channelizing and directing the Life energy towards health improvement traditionally is being executed by laying the palms on specific part of the body. This kind of knowledge exists in each one of us, like genetical code for self-healing. Proof of this statement is unconsciously lying our palms on the body area where we feel pain (head, teeth, stomach, heart, injury, etc.). Subconsciously we know that laying palms on painful place, at least can ease the pain. If we recall some of the miracles Jesus did while healing people, we can bravely assume that soon of a God used the skill of channelizing and directing Universal life energy, on the highest possible level, unlike ordinary people. So did the Buddha. Einstein’s formula E=mc2 is a science proof that energy overflows into matter and vice versa – matter into energy. This is also a proof of logical relationship between humans and Life energy, and unity of man with nature. Today, millions of people of different ages, nationality, religious beliefs, career choices and education use Reiki for their health improvement and improvement of overall quality of their life. Among the ones who practice Reiki there are many famous persons: Robert de Niro, Richard Geer, Keanu Reeves, Celine Dion, Paul McCartney, Steven Segal and many others. Reiki skills are used by many businessman and politicians for releasing the stress and relaxation as well as on their goal achievements. Reiki does not have any negative effects nor can it be used for bad causes. It is compatible with existing treatments and healing methods, as well as with the techniques for spiritual growth. Beside that Reiki boosts performance of other healing methods. Reiki and its effect were and still are focus of researches on many clinics, institutes and laboratories around the world. In most of developed countries Reiki is integrated with conventional medicine practice. Doctors and medical staff in clinics and maternity departments, especially intensive care units, practice Reiki. Doctors very often direct their patients towards Reiki therapists. 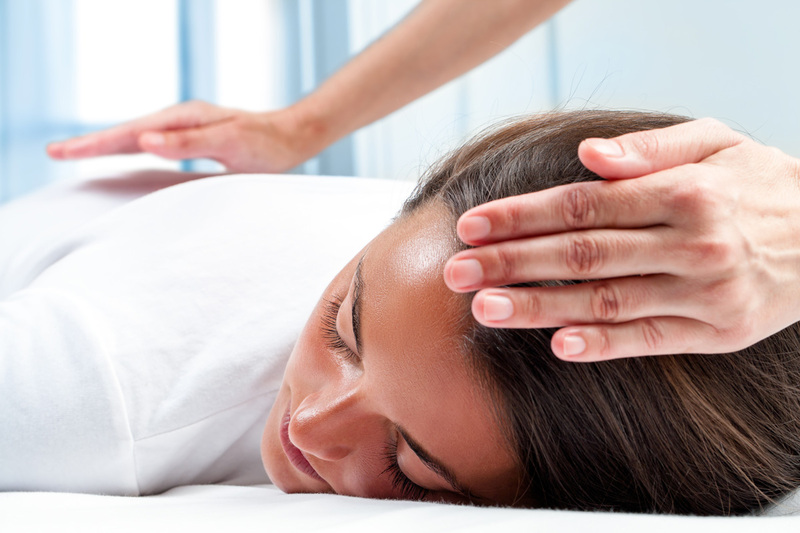 Positive effects of Reiki are also recorded in overall life quality improvement. Problems with certain areas of life, such as: relationships, work, education, love, finance etc. also are indicators of lack of Life energy that can be regulated and fulfilled by Reiki. Regular practice of Reiki creates all necessary conditionsto establish the harmony of body, psyche and spirit, and therefore life itself. Reiki does not have dogma and is not a religion, nor conviction, sect or any other type of organization, nor is it national or any other affiliation. 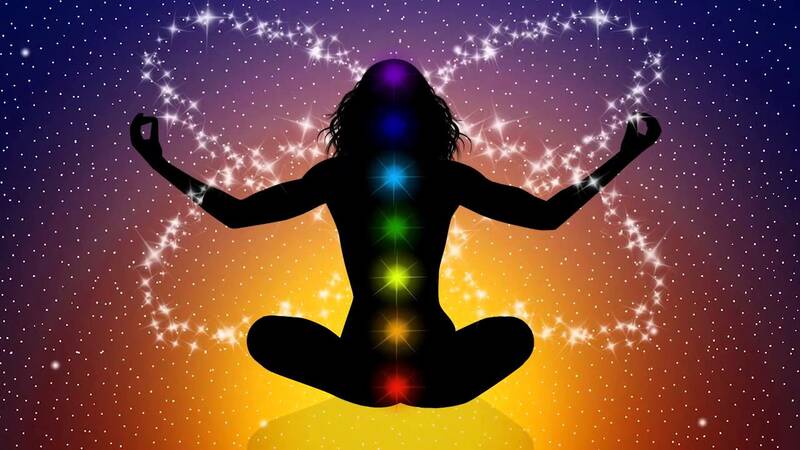 Essence of Reiki practice is opening the energy channel of the person and its connection with Life energy with the goal of free flow of energy through all levels of organism. Process of opening – initiation is implemented by Master with special technique of channelling the life energy. If all other knowledge practitioner can acquire by education and practice, the initiation is not possible singly. Reiki enables one person to activate flow of Life energy through his organism within 20 seconds to 5 minutes (depending of the level). Researches from Stanford (USA), based on the measurement of flow of energy by highly sensitive equipment, suggest that the energy enters the body primarily through vertex and flows through spine through so called energy channel that consists of 7 interrelated energy centres, chakras. Life energy flows into body moving in a shape of spiral in a counterclockwise direction, like DNK. Flowing through spine, energy is spreading through body, filling every cell and emerges through minor chakras on palms and feet. By laying palmy on the body, energy is additionally focused and directed towards specific part of the body. Eminent researcher doctor Bara Fischer of Santa Fe, New Mexico,developed an ingenious technique for doing life-energy interpretations with Kirlian photography, testing absentee healing. The photograph taken during the absentee healing displayed a marked increase of radiation when compared with the photo taken before the treatment, which had displayed a definitively smaller range of emanations. During receiving of Life energy, every man takes the amount of energy that he needs for eliminating energy blocks, activation or transformation of energy of physical and etheric body. This is the proof of intuitive nature of Reiki. 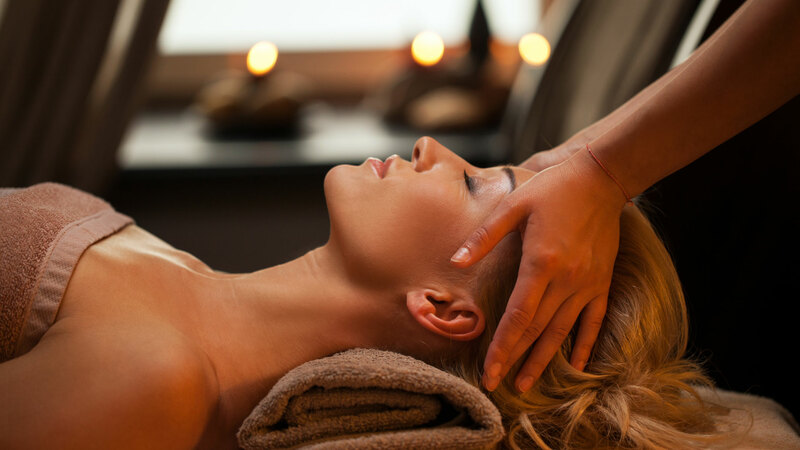 Many Reiki therapists do not use special positions of their hands during treatment, but they follow the signals send from client’s body, as well as the changes of energy flow intensity. One of the reasons of dysfunction of the organism is a lack of vital energy. Reiki compensatesenergy deficiency in organism and by doing that increasing its defense capabilities and the function of all organs. Reiki also relaxes muscles, relieves spasms, influence balancing on all systems. Scientific research show that one person receives an average 5-10% Life energy from surrounding space, while Reiki method enables income of 90-100% of Life energy in organism. Reiki influences human organism immediately through energetic channel and biofield, and also through endocrine system. When biofield of a human is full of Life energy, it becomes well organized. Energy creates well organized DNK and RNK that, in case of Reiki influence, creates basis for good functioning of enzymes and synthesis of proteins, and for cell division as well. When cells function well, then glands, tissue and organs work well too, and all of this makes organism a good condition. Process of intense fulfilment of body with energy represents process of rejuvenation and strengthening. In compliance with second thermodynamics law, this process is opposite to the growth of entropy. Reiki brings Life energy in human body, and organizes all physiological possess and systems in organism. Reiki overturns process of aging and weakening of the body, and also affects entropy which accelerates the healing of the emotional, mental and physical level. It is important to stress that Life energy boosts not just through physical body, but also through all subtle levels of human body, which enables establishment the overall harmony of the body and making a positive impact on the psychosomatic causes of illness. During the flow of energy through the channel of Reiki therapist, quality of Life energy is not subject to change, and therefore energy flows to receiver in its primal, pure state. Therapist cannot transfer to his client nothing personal. Also, during the Reiki session, therapist receives Life energy same as the patient, with the difference that after the treatment energy is retained for hours and maintain its positive impact in body of receiver. Reiki therapist does not lose or waste his energy during the treatment, but rather increasing his psychophysical condition. Reiki practice inspires spiritual growth, and develops characteristics such as compassion, tolerance, healthy love of ourselves, love for others, environment, earth. Reiki does not rely on religion, and therefore does not ask for any mental preparation and suggestive directing towards health improvement. Mandatory is only for person to be willing to receive universal Life energy. Integration of Reiki with conventional medicine practice for human represents possibility of recovery on all levels. Illness as an appearance should be discussed on physical and sensitive levels of human being. Causes of many illnesses are hidden I mental or emotional level, because they are a product of strong destructive thoughts and emotions, that accumulate in a form of certain vibrations and over time form firmly connected structure of negative character. Such energy structure is entering into human energy channel, blocks him and continues to spread its negative effects to chakra system (energy centres), and later on manifests itself on physical level in a form of disease, pain or disorder. Same as the doctor can set the diagnosis about a disease, experienced Reiki therapist analysing the relationship of anatomy, physiology and energy structure of human being can identify changes on sensitive levels that caused health damage. Diagnostics and conventional medicine practice are irreplaceable in healing on physical level. Reiki practice enables strengthening and establishing harmony in one organism on all levels, including mental and emotional ones. This way disease is approached from all angles and is more precise on all levels, which speeds up the healing process. It is important for everyone who has symptoms of any disease to go see his doctor and after that use Reiki as an additional remedy. Best results are achieved when doctor and Reiki practitionermonitor healing process together, or when doctor is at the same time a Reiki practitioner. Scientific research on the issue of laying the hands are popular for some time now. Today, there are several experiments that confirm efficiency of Reiki and other healing techniques. Some of the most interesting results of these experiments suggest that the positive effects of Reiki are much more than placebo effect. Other suggest that the energy is nonphysical by its nature, so regardless of the distance between receiver and sender its efficiency is not affected. Following are some of the most interesting researches. First study on Reiki was published in a scientific journal with review. Study included 45 persons, divided into 3 groups (each group consisted of 15 persons). One group received Reiki and intermission, second one received Reiki placebo and the third one just intermission. Placebo treatment was implemented on the exactly same way as the real Reiki implemented on first group with the difference that placebo was implemented by the therapist without Reiki knowledge. Third control group received just intermission. Study identified many statistical changes in vital indicators including heartbeat rate, systolic blood pressure, diastolic blood pressure, skin temperature and the number of breaths in equal intervals. This study reveals significant decline in diastolic blood pressure and heartbeat in group that received Reiki treatment. None of this was recorded in other two groups. This leads to the conclusion that Reiki caused effects that are not related to suggestion. This study is small, but its quality and the positive results suggest that further bigger research of this will certainly be successful. Complete study: Autonomic Nervous-System-Changes During Reiki Treatment: A Preliminary Study; The Journal of Alternative and Complementary Medicine, Vol 10, Issue 6. Second study, published on the HelfgotResearch Institute on National colleague of naturopathic medicine in Portland, Oregon suggested that Reiki has measurable effects on immune system. This study examined effects of Reiki on the number of white blood cells from the participants. They were randomly divided into three groups: ones that received Reiki, one that rested and the one did not received Reiki nor they rested. Blood for the analysis was taken before the treatment, immediately after the treatment and four hours after the treatment. Study suggested that Reiki boosts immunity by increasing the number of white blood cells of the participants who received the Reiki treatment. Given the fact that this is a small preliminary research, results give basis for further researcher of effects of Reiki to boost health for those who undergo the Reiki treatment (Hodsdon, W., Mendenhall, E., Green, R., Kates-Chinnoy,S., Wacker, E, &Zwickey, H. The Effect of Reiki on the Immune System. Helfgott Research Institute at the National College of Naturopathic Medicine, Portland, Oregon, USA). Wendy Wetzel, registered nurse describes Reiki experiment that she published in her paper: Reiki Healing: A Physiologic Perspective. In her research, there were 48 people in the experimental group, while 10 was in control one. Both groups were taken blood samples at the beginning and at the end of the experiment. Experimental group finished first level of Reiki, and control one was not included into Reiki practice or training. Blood samples were tested on the levels of haemoglobin and haematocrit. Haemoglobin is a part of red blood cells (erythrocytes) that transports oxygen, and haematocrit is the ratio of red blood cells in total volume of blood. Participants in control group had significantly smaller change in the observed values: 28% had increase and the rest had decline, while the participants in control group haven’t had any significant changes. It is thought that changes, whether an increase or decrease, in accordance with the purpose of Reiki – Reiki brings balance, on individual basis. One of the participants had increase of 20%, and continued to practice Reiki autotretman, and after three months this increase was consistent. Participant had anaemia due to iron deficiency. Second study about palms laying also demonstrated increase of the value of haemoglobin. Experiment was led by OteliaBengssten, M.D. with the group of 79 sick patients. Patients had various diseases, including pancreatitis, brain tumour, emphysema, endocrine disorders, rheumatoid arthritis and heart disease. Laying on of hands treatment was given to 46 patients, while the rest 33 were control patients. Treated patients showed significantly higher values of haemoglobin. Effects were so obvious even with those patients with cancer who were also under the treatment of medications that cause bone marrow suppression which leads to decrease in haemoglobin. Most patients reported the improvement or complete disappearance of symptoms. Both experiments demonstrate that therapists are capable of affecting biological improvement with their patients, rather than just to create pleasant feelings. This treatment was confirmed by experiments published in medical centre St. Vincent in New York. Experiment was led by Janet Quinn, assistant director for patients care at University of South Carolina. The goal of an experiment was to completely exclude the possibility of a placebo effect. Thirty heart disease patients received psychological test with 20 questions in order to measure the level of their anxiety. After that, they were treated by the group of trained Reiki therapists. Control group of patients was also treated but by false therapists that just imitated same positions as trained therapists. Level of anxiety dropped for 17% after just five minutes of treatment by trained therapist. Those that were treated by false therapists experienced no effects. Daniel Wirth form Healing Sciences International in Orinda, California led firmly controlled experiment including healing technique. 44 male college students received identical small injuries made by doctor on their left and right shoulders. After that, 23 students received healing treatment, and the rest 21 did not. Treatments were given the way that included no chance of placebo effect. All 44 students put they hand though the hole in the wall. In the other room trained Reiki therapist was present for those participants in experimental group and healed them remotely without the contact. For those participants in control group no one was in the room. Both the participants and the doctor that made injuries and evaluated healing were told that the experiment was related to electrical conductivity of the body. Nobody know it was a healing experiment. On eight and sixteenth day of experiment there was an evaluation of healing process. After eight days, for group that received Reiki treatment, injuries were smaller for 93.5%, and the patients from control group had 64.3% smaller injuries. After 16 days those numbers were 99.3% and 90.9%. After the interview students stated that they did not know the real nature of the experiment and did not felt any contact with the therapist. Possibility that expectations of the participants influenced the healing results was rejected. Dr Bernard Grad from the McGill University in Montreal used barley seeds in order to test effect of spiritual healing of plants. Seeds were sown in pots and watered with brine whose effects are known as by slowing down the germination and growth of the plant. Research was conducted in double controlled environment. One part of the seeds was watered with brine treated by spiritual teachers. Treated brine was held by therapist for 15 minutes in sealed container. The rest of seeds was watered with untreated brine. The person who was watering the plants did not know which seeds get treated brine and which gets regular. Plants that were watered with treated brine were growing faster, healthier and produced 25% more chlorophyll. Such experiments were equally successfully implemented in the laboratory of doctor Grad as well as in some other laboratories. Dr Grad led similar experiment with plants and tap water. Sealed containers with water were given to spiritual healer, and the rest to some patients suffering from depression. Plants that were watered held by healer were growing faster, and those watered with water held by patients had lower growth rate in comparison to control group. Those experiments that include plants, beside their confirmation of non-placebo effect of spiritual healing, also give scientific confirmation of ancient metaphysic understanding of healing energy. In another experiment that included psychic and healer Olga Worrall, doctor Robert Miler used electromechanical converter for measuringmicroscopic speed of growth of grass. The converter has precision up to thousandth of an inch per hour. Doctor Miller set the experiment in his laboratory which he left and locked the door in order to eliminate unnecessary interference. Olga, being 600 miles away from the laboratory, was told to pray for the plants from the experiment at exactly 9:00 pm that night. In the morning, doctor Miller found that the test devices recorded normal continuous growth of 6.25 thousandth of an inch per hour until 9:00 pm. At that time growth speed started to increase up to 52.5 thousandth of an inch per hour which is increase of 840%. This growth speed was held until the morning when it started do decline, but never to its starting value of 6.25. Spindrift group conducted extensive research including the prayer and the plant. Their results show that plants that were prayedfor grow faster, even in cases when conditions were absolutely the same for both groups of plants, and those who were praying were thousands of miles away. This results were consistent regardless of the distance and occurred again and again. They were described in a book from the author Robert Qwen “Qualitative Research: The early years”. Reiki principles are reflection of spiritual direction of Reiki pethood and a key for absolute harmony. Doctor Mikao Usui introduced five ancient rules in Reiki, the five principles that are to be followed during life by every Reiki practitioner. Principles of reiki, thousands of years old, represent secret recipient for happy and miraculous cure for all diseases, because respecting these principles assures preservation of hygiene of thoughts and emotions, whose quality reflects on our health and life circumstances. Usually Principles of Reiki repeat in the morning and in the evening or during the day when there is a need for it. They are the motto for every reiki practitioner, and a sort of a goal. On the beginning of Reiki practice, it may not be that easy to keep up with Principles, because each of the principles is a wisdom itself and to one of the bad habits that are a part of our lives, and therefore continuous manifestations of blockades and distractions to our progress. It is hard to notice because each habit by time becomes character feature. Accept those principles, live them and you will become witnesses of miracles transformations that you will regularly awake one by one. Just for today, I will be kind to every living thing. Why today? We do not have yesterday, because it is a past now. We do not have tomorrow, because it has not jet come from the future. The only real thing we have is today. When every man would live today by the principles – there will be harmony and love ruling the world. Therefore, using Reiki principles you give a promise to yourselves that you will live in accordance to the principles only today, and this way your every day will be special, and the progress in work on yourself will be visible. Reiki principles can be reformulated to appear as absolutely positive affirmation. This way they influence strongly on our conscience and subconscious and become new healthy habit. Today I don’t worry! I expect all the best! Today I am not angry! Today I rejoice everything! Today I am grateful for everything! Today I am kind and benevolent to everyone! Analysing each principle, we can more precisely enter the essence of every individual principle and by doing this we can understand by heart the substance and healing capabilities of everyday promises. It will be what it should be and worry does not affect it in a positive way. Whatever happens it is for our own good, but we realize it much later. Thoughts filled with worry always have negative basics and negative contents that respecting the law: “Like attracts like” can attract what we do not want and what we are afraid of. Therefore, worrying is extremely counterproductive, and it is much better to face our worries, take the responsibility for the state of things, analyse each of them as a project or challenge and start working on their resolution. With our internal positive changes, we can always influence the course of our lives, influencing positive changes in life, which is not a small thing to do. Worry is a sort of distrust in positivity of our unity with the universe. When the person, during the initiation, is connected to Life energy, the feeling of protection and security emerges, and this feeling is not false. For today do not worry, but expect all the best! Anger is destructive emotion whose energy causes disharmony in entire human being. Directing anger towards ourselves or other person, even if we do it just in our thoughts, we destruct our subtle body and the subtle body of other person, which cause illness by the time. This recklessness brings huge damage, much bigger than the reasons for being angry at the first place. Anger always comes from ego, Soul is never angry. Listen to your soul, help her, because anger always takes a part of your energy potential. Anger is nothing else but harmful habit. Try the relieve anger by practicing Reiki, and free yourself from destructive habit, take it under your control and develop opposite habit, and that is joy. Calm your ego and treat your soul, and make your and the life of others better. Reiki enables transformation of destructive energy into constructive, so you can by refraining from anger preserve your precious energy and turn it into something creative and productive. Therefore, do not be angry today, but rejoice! Every day we are surrounded with the thing we should be grateful for, and very often we do not think of it at all. Everybody has things that could be better, but turn around and be thankful for the things that are good in your life and by doing it you will start a process of positive changes. If we think about universe as a living being similar to us, and for a moment change places, would we still give any gifts to ungrateful person? It is very important to know that gratefulness for everything creates special energy that attracts prosperity. People are created to live in prosperity, but keep creating energy blocs for themselves with jealousy, dissatisfaction, greed, pessimism, wrong thinking schemes, and ingratitude. Expressing gratitude for all that you own and for everything that surrounds you in your life, you are helping development of your being and by doing that you harden the connection with the universe, that becomes absolute prosperity (and its forms are: health, love, friendships, creative realization, and money) and there is enough of it for every one of us. Be grateful to your parents, even when you do not think they deserve it. They are the roots of the tree whose branches you are, and your children are fruits. Gratefulness to parents (even unexpressed) is the energy that supports roots, she is the essence that keeps the tree alive. Be grateful to every person that ever had you hurt or caused other negative emotions. Those persons are your therapist (although unaware of it), because the pain you felt purifies and heals the soul, as each pain does. Those people are our teachers (although unaware of it) because they focus us on the things in us that need healing and change. Be grateful for every crisis situation and the difficulty, because they represent new tasks that surely affects your destiny and the destiny of your posterity. As soon as you manage to feel sincere gratitude in difficult times, you can consider part of tasks done and that you have passed to next level. Gratitude skills towards hard times raises awareness on a new higher level, and the amplitude of oscillation between happiness and misfortune, from success to failure significantly reduces. Life slowly comes to balance. Gratitude in crisis situations has real basis, because in those moments human does not what could happen, things could always go worse than they did. Be grateful for your physical look, because it (in it genuine form) surely fits your karmic heritage and as such is important for resolution of the tasks in a school of life. Consider your body as a temple of your Soul, her home, that everybody gets as a gift and continue to decorate it yourself. So, the way we look is not just divine but also human creation. In cases when we are not satisfied with our temple, we can change itsappearance, because it’s all in our hands, but we cannot complain and be ungrateful, because we could get much worse or none, and we could not get a chance to be alive at all. Be grateful for every meal, because at the moment there are many that are hungry. Be grateful for every new day (sunny or rainy) because for many around the world this day never dawn. Gratefulness in us crates feeling of happiness, improves health, makes people around us happy, prolongs life and creates a platform for positive opportunities. So today be grateful for everything. The truth is an essential aspect of the overall harmony, it is one of the laws of Universe. Truth manifests itself in different ways, and one of them is honesty. Honesty is in everything, and therefor in work as well, very important thing. Clear conscience is a mandatory requirement on the path of spiritual development. Honesty with oneself triggers a feeling of respect for you by other people. It is misconception to think that dishonest work will not hurt anyone or that nobody will ever find out. It is enough for you to know it and it makes damage to you personally, because it distracts you form the path of harmony and is not in compliance with the Laws of universe. In order for you to be in harmony with yourself and the universe, be honest in every moment, do your work honestly like it is the last time in life – the best you can. Be honest towards yourself regarding unemployment. Man cannot be unemployed if he honestly wants to work. He can be forced to do the job he doesn’t like or doesn’t see it as dignified (in sense of education, manners, habits, etc.) or underpaid, but in each case man cannot be unemployed. Analyse the reactions of your ego towards job, work on yourself honestly with the help of Reiki and you will be rewarded with new positive opportunities. If you do not love your current job, it is mandatory to find the positive reasons of your presence in it, because even undetectable at a glance, they do exist. Think about changes and undertake necessary actions, but do your current job the best way you can. Dishonest work or doing what we dislike cause creation of negative energy in human body, that over the course of time transforms into harmful energy blockades and barriers to health and prosperity. Honesty is mandatory part of truth, same as the truth is mandatory part of harmony, that we aspire zo so much. We all come from the same source and we are all on the energetic level brothers and sisters, and not strangers at all. Expressing benevolence should be a natural thing and should come from the heart itself. Benevolence is a cure and protection from many adversity, and also the reflection of quality of soul and progress in self-development. When you are benevolent to yourself, you are benevolent to others too. If we approach this issue from the other side, we can also get great results. Start expressing benevolence to others and at one moment you will feel that you should be benevolent to yourself too. Anyway, benevolence and kindness represent high-quality, positive and productive energy which often precedes love. And love, as we know, represents ultimate goal and meaning of life. Expressing benevolence to others creates one kind of energy bridge. This bridge brings back those people that has positive reaction to you. Kindness and benevolence can help you touch someone’s heart and demonstrate the difference, and inspire someone to be better person. Knowing that every person has Divine light inside, expressing kindness and benevolence to any person at the same time you express your love to God. This principle can come in one more interpretation: Respect your parents, teachers and elderly”. Respect, kindness and benevolence to parents is not just a reflection of good manners, but much more. Respecting parents is a basic of healthy and long life, and is mentioned in one of the God’s commands that are given to each man as a guideline for life. If we compare human being to the tree, parents are its roots. Not taking care of the roots, not respecting it means destroying the tree, yourself and the fruits (posterity). Respecting parents is not just a phase, it is our readiness to forgive everything and to everything for them. Our children learn on our case and their relationship towards us create on subconscious adoption of our behaviour schemes towards our parents. All we do now to our parents, our children will, in a greater or lesser extent, do to us. God gives a man spiritual life, and physical life is given to us by our parents. Disrespect of parents means disrespect of God. No matter what kind of people our parents are, they are primary the people that were chosen by the God to give birth to us. It is not on the man to weigh the choices of Creator. Although Reiki is not a religion and its principles are not commandments, I have a feeling that their essence is similar, and especially this principle contains most of the God’s commandments in itself. Benevolent person is a person whose awareness and soul have genuine good intentions. This person cannot steal, kill, give false testimony, commit adultery, disrespect parents, etc. Everyone who respects this principle spreads the feeling of human unity and mutual love and respect. Do not forget to act benevolently to every other living being – you’re and their energy come from the same source. This kind of attitude will reflect your good intentions to entire planet, which is patient and full of love for us. This is the beginning of healing the Earth, unfortunately abused by humans. Every day is good, and start form the possibility that this day might be of a particular importance. Therefore, be benevolent and kind today to all.